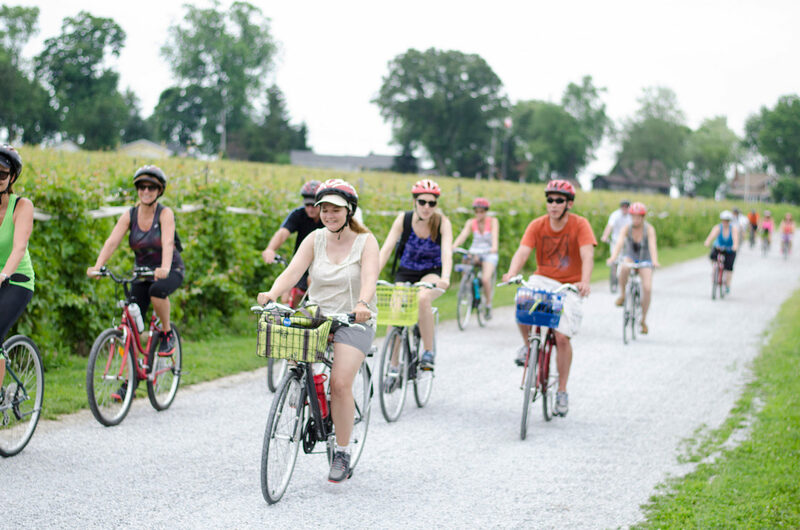 Wine Trail Ride cycling tours by WindsorEats. Did you ever want to go for a bike ride in Kingsville or Point Pelee National Park, but, didn’t have a way of getting your bike out there? Well, now you do. WEBikeBus, the brainchild of our good friend, Justin Lafontaine, will launch on two Sundays in October to provide pilot bus service with bike transportation between Windsor and Essex County. The service will connect city residents and tourists to popular destinations and cycling routes on the north shore of Lake Erie. Justin was also an instrumental player in creating BikeTrain, as well. Tickets are only $25 for adults and $20 for those 18 and under (plus fees) and offers a round-trip to Kingsville or Leamington/Point Pelee, and includes bike transport by truck. Space is limited. 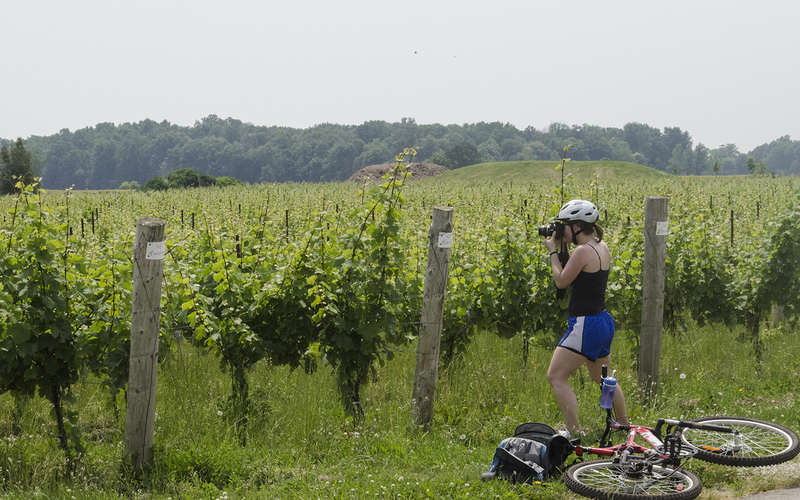 A cyclist takes a stop to photograph the scenery on a Wine Trail Ride cycling tour through the Lake Erie North Shore. be available for minor/temporary repairs with a donation. The pilot dates for the WEBikeBus are Sunday, October 15 and Sunday, October 29, 2017. It’s a great way to get out to the county, explore the colours of fall, maybe even stop off at a winery or two. If you were ever hoping for this to be a thing, be sure to get your tickets and support the pilot project and help ensure it moves forward again next year. We know we will as we’d think this would be a perfect compliment to our award winning Wine Trail Ride cycling tours.